Buddha Footprints Tour explores the region which was once treaded by Buddha himself. Beginning from Bodhgaya, the epicenter of Buddhism, the tour moves towards Rajgir, Sarnath, Kushinagar, Lumbini and Sravasti, all of them having served an important role in the life of Buddha. Adding on to this, the tour includes a visit to Taj Mahal in Agra and a sightseeing of cosmopolitan capital, Delhi. Arrive Gaya, the gateway to Bodhgaya, which is one of the holiest Buddhist pilgrimage centres. Here only the Prince turned Sage, Siddhartha Gautama attained enlightenment and became Buddha under the "Bodhi Tree". Visit Mahabodhi Temple built by Ashoka the Great in 3rd Century BC. 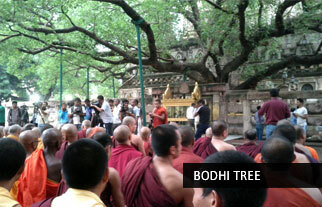 Within the premises of this temple complex, one can still sit under the venerated third offshoot of this Bodhi Tree. Overnight in Bodhgaya. After breakfast, begin a full day excursion to Rajgir, the capital of 6th century Magadha Empire. Visit Gridhakutta, Sapataparni Caves, Ajatsatru Fort and Venuvana. Also visit Nalanda, the world’s oldest university founded in the 5th century. Return back to Bodhgaya. Overnight stay in Bodhgaya. Full day visit Sujata House 2km west of Bodhgaya, near the Falgu River is a temple dedicated to an Uruvela tribeswoman who offered food to the starving Siddhartha. Also visit Niranjana & Dungagiri Caves. Overnight stay at the Hotel. Early morning after breakfast, proceed for Varanasi via drive. Upon reaching there, check in the hotel. Proceed for Sarnath, the principle centre of Buddhism. It was here around 530 B.C that Buddha preached his first sermon after gaining enlightenment and established the foundation of Buddhism. Return to Varanasi for overnight stay. 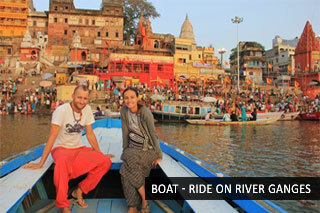 Early morning, begin a boat - ride on River Ganges to see the beautiful sunrise dawning on this spiritual city. After breakfast, check out Kushinagar, the site of Lord's Mahaparinirvan. Begin experiencing the solitude of Kushinagar, one of the four pilgrimage sites with a visit to Ramabhar Stupa, standing on the spot where Lord's mortal remains were cremated. Also visit Mahaparinirvana Temple which has the enshrined large reclining figure of Buddha symbolizing the state of Nirvana. Overnight in Kushinagar. After breakfast, proceed for Lumbini, the place where Buddha was born and currently, the site has some Buddhist monasteries. But the pilgrimage site is most importantly known for the presence of the Maya-Devi Temple and the sacred pond which are associated with the roots of Buddhism. Overnight stay in Lumbini. Check out Lumbini and proceed for Sravasti, the site where Lord spent 24 rainy retreats and gave many enlightening sermons. On arrival here, begin the sightseeing of Sravasti. The was the capital of the ancient Kingdom of Kosala and an active centre for Buddhism in its heydays. Visit Sahet Mahet. Jetvana Vihar has the honour for sheltering Buddha for 24 rainy seasons in and has the famous Anand Bodhi tree, age-old stupas, majestic monasteries and several temples. Later proceed for Gonda Station to board the connecting train for Agra. Overnight on Board. On arrival, transfer to hotel. 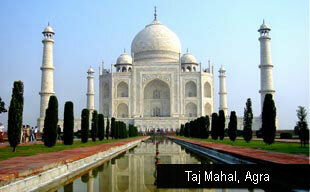 Visit Taj Mahal, the architectural modern day wonder of the world. The Agra city tour thereon continues to the Agra Fort. Overnight in hotel. Morning proceed for Delhi. On arrival, begin the sightseeing of Delhi with a visit to India Gate, President House, Temples, etc. After dinner, transfer to the Airport and board connecting flight for onward destination.